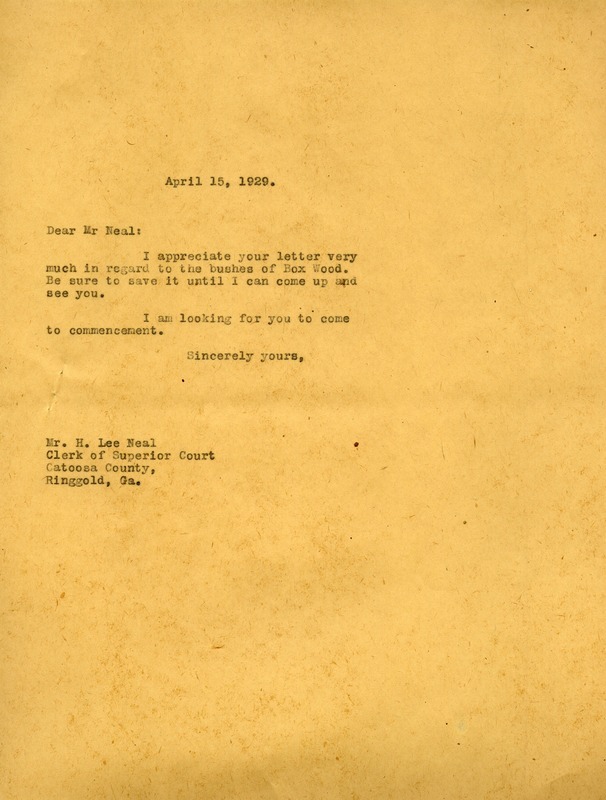 Letter to Mr. H. Lee Neal from Martha Berry thanking him for the bushes of Box Wood. In addition, she asks him to come to that years commencement ceremony. Martha Berry, “Letter to Mr. H. Lee Neal from Martha Berry.” Martha Berry Digital Archive. Eds. Schlitz, Stephanie A., Haley Fortune , et al. Mount Berry: Berry College, 2012. accessed April 22, 2019, https://mbda.berry.edu/items/show/10715.